Yin and Yang, “shadow and light”, is an ancient Chinese philosophy used to describe how polar opposites or seemingly contrary forces are interconnected. Jouer Cosmetics has found this balance with two exceptional and exceptionally different products, Luminizing Moisture Tint and Matte Moisture Tint. Jouer’s best-selling Luminizing Moisture Tint contains light-diffusing minerals that give skin a soft, healthy glow. This product is formulated with powerful antioxidants like ginseng and ginko biloba leaf extract to improve the skin and SPF 20 to protect it. Jouer’s Luminizing Moisture Tint provides the perfect amount of “glow.” Sometimes products that claim a “luminizing” or “dewy” finish, just end up making you look sweaty. This product perfects the look of healthy skin. Allure recently gave Luminizing Moisture Tint it’s coveted “Best in Beauty” seal. The counter part to a glowing complexion is found with Jouer’s new Matte Moisture Tint. This is the first matte-formula I have used that does not make my face flat. The lightweight formula blurs imperfections, moisturizes the skin and provides a velvety, soft focus finish – that looks amazing on the skin. Enriched with Vitamins A, C and E, this formula delivers rich antioxidants to the skin. The oil-free formula absorbs oil and reduces shine throughout the day. As a special treat, Jouer’s National Makeup Stylist – Neil Scibelli has provided all the answers needed on using, applying and selecting cream-based products. Q: What are the benefits of using cream-based products? A: Cream based products have the ability to leave a more dewy finish to the skin. A lot of cream based products have built in moisturizers, so I recommend them to women with dry skin. Q: Can all skin-types use them? A: Yes, all skin types can use cream based products. There are different categories of cream products, so choosing the right one for your skin type is key. Q: How to pick the right colors for your skin tone? A: I usually test a small amount of product on the lower jaw line area- to match the skin tone. I like matching the neck color. Q: Should you use fingers or brushes to apply these products? If brushes…what are the best to use? A: Fingers are a user-friendly way to apply cream products (like a tinted moisturizer), for those who are on the go. From a makeup artist standpoint, I recommend using a foundation brush for applying cream products; it creates a more even, flawless finish. A: I put a dime size amount on the top part of my hand, and dip into it with a foundation brush to apply. This way, you have control as to how much your picking up with your brush. You don’t want to end up with too much product directly on your face, so its a good way to build your coverage up. Apply from the center, moving the product outward. Q: Any tips or tricks? A: To prevent a cream product from looking streaky, I recommend patting the formula into the skin. It ensures coverage, without moving the product around too much. Q: How to make cream-based products last? A: You can set it with a translucent powder, to lock the product in place. This helps with setting the product, and also absorbs shine in the t-zone area. A: Allure’s award winning product from Jouer Cosmetics, Luminizing Moisture Tint. For a more oily skin type, try the new Matte Moisture Tint also by Jouer. They leave the most incredible natural glow to the skin. They’re both oil-free and ideal for daily wear. Born and raised in New York, Neil Scibelli has established himself as one of today’s leading fashion and celebrity makeup artists. Growing up alongside his grandfather, an oil painter, Neil began blending colors at the young age of five. Over the years, his passion for painting developed into a keen interest in makeup artistry. While absorbing all of New York City’s cultural influences and style, makeup artistry was a natural calling for Neil. He studied his craft while training under world-renowned makeup companies including Yves Saint Laurent, Laura Mercier and Kevyn Aucoin. Neil has also assisted some of the industry’s top artists, such as Kate Lee and Mally Roncal. A combination of talent, dedication and ambition allowed Neil to successfully turn his years of training into a full-time career. His work is mainly focused in fashion, television, music videos, and red-carpet appearances, with loyal celebrity clients in all genres. Neil has keyed numerous fashion shows and presentations, including his re-occurring work with stylist Brad Goreski and the Kate Spade company. Other recent projects include his signature glamming for model/actress Molly Sims, assisting on Beyonce’s music video ‘Party’, and grooming for recording artist John Legend. In 2008, Neil joined the Jouer Cosmetics team as a freelance makeup artist. 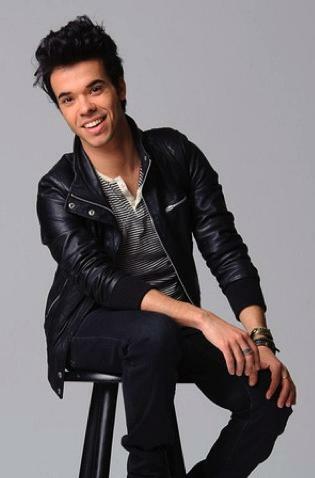 Jouer promoted Neil to the role of National Makeup Stylist in 2011; a position he currently holds.